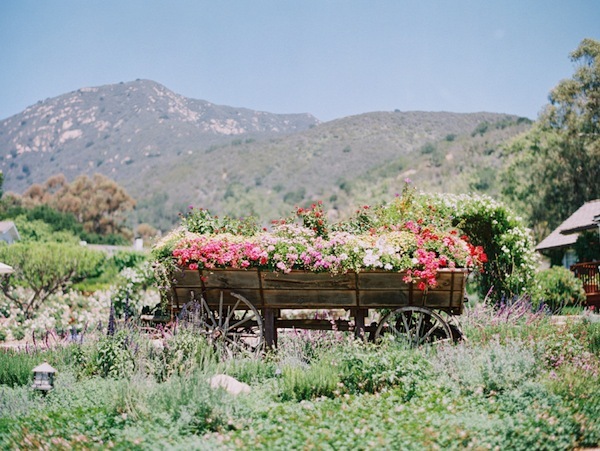 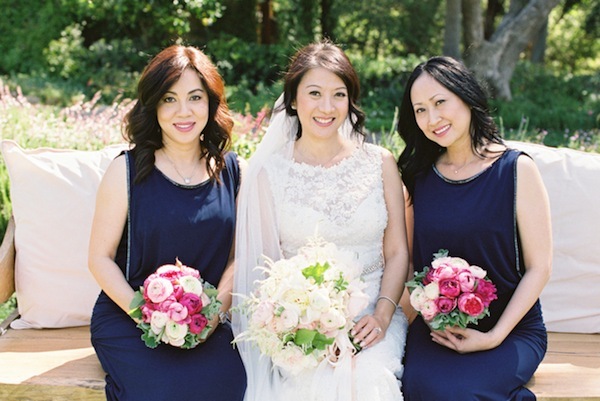 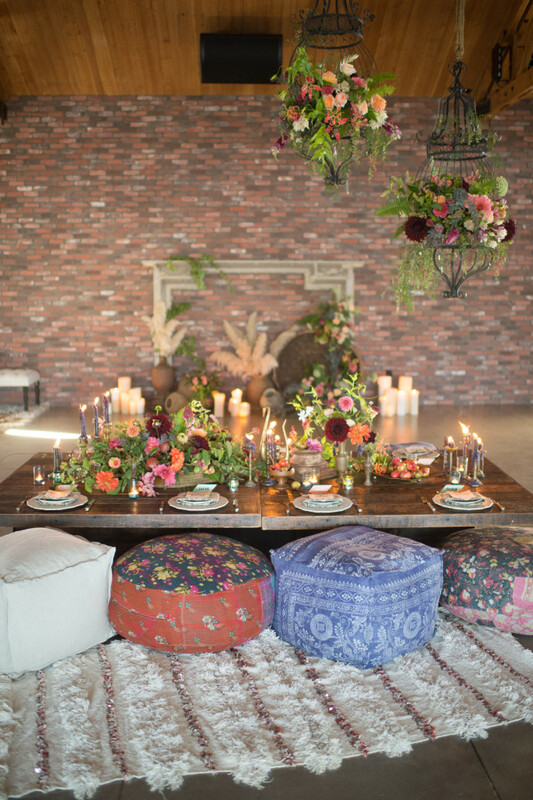 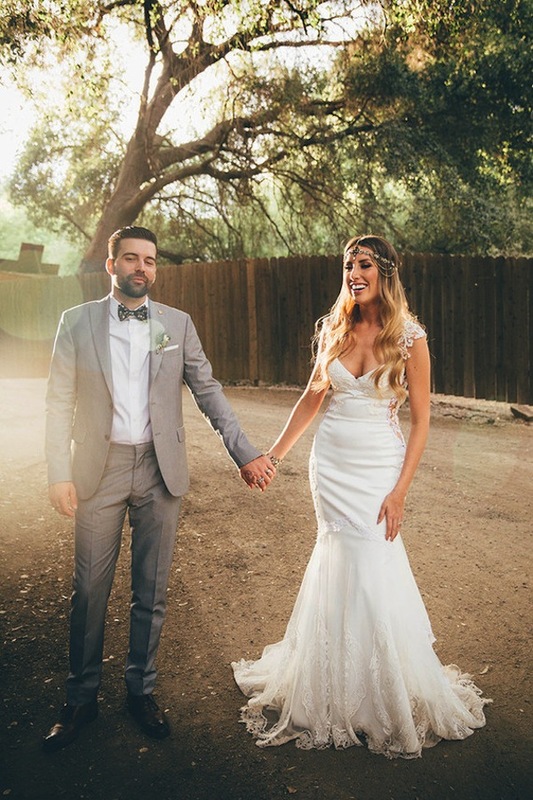 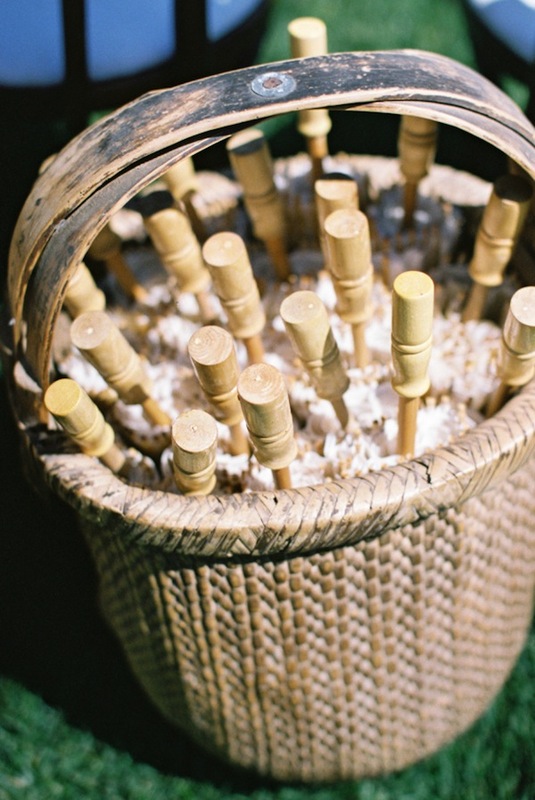 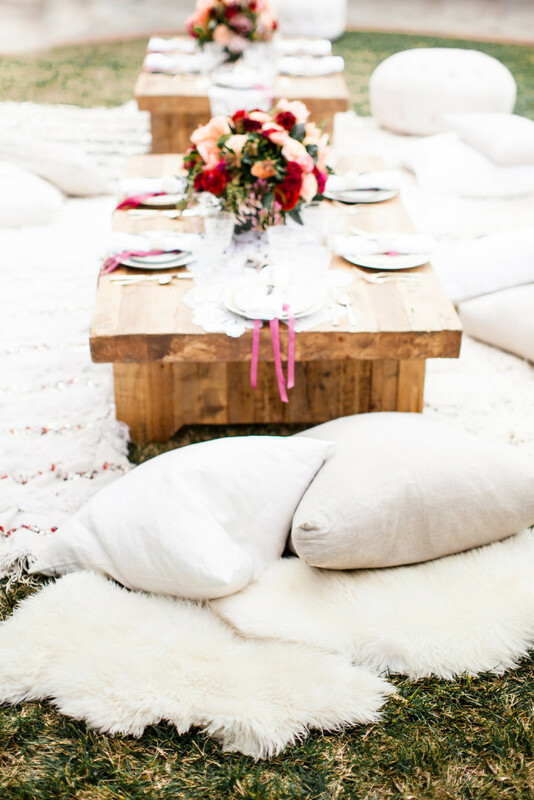 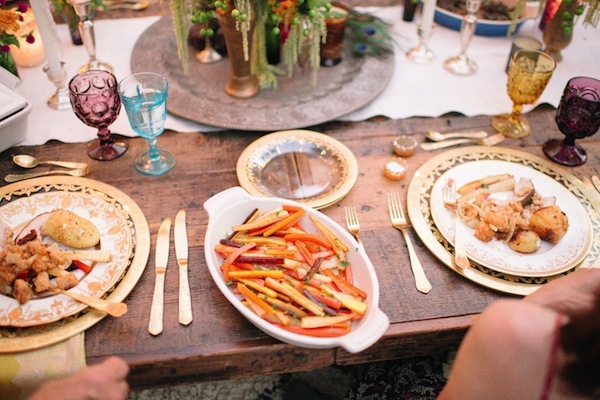 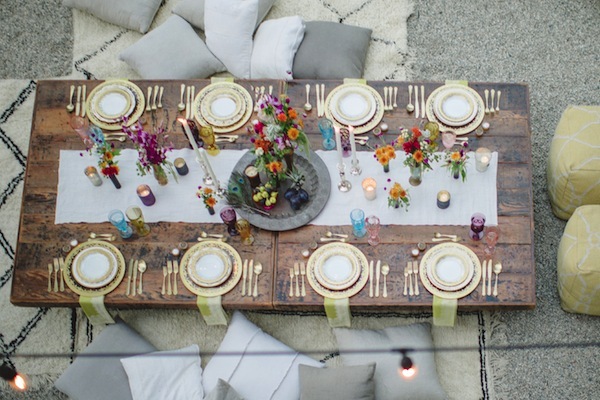 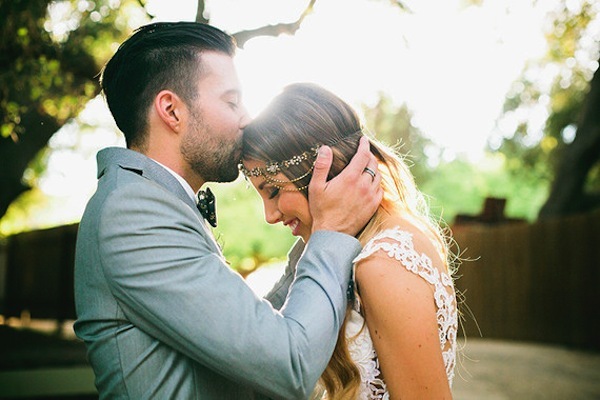 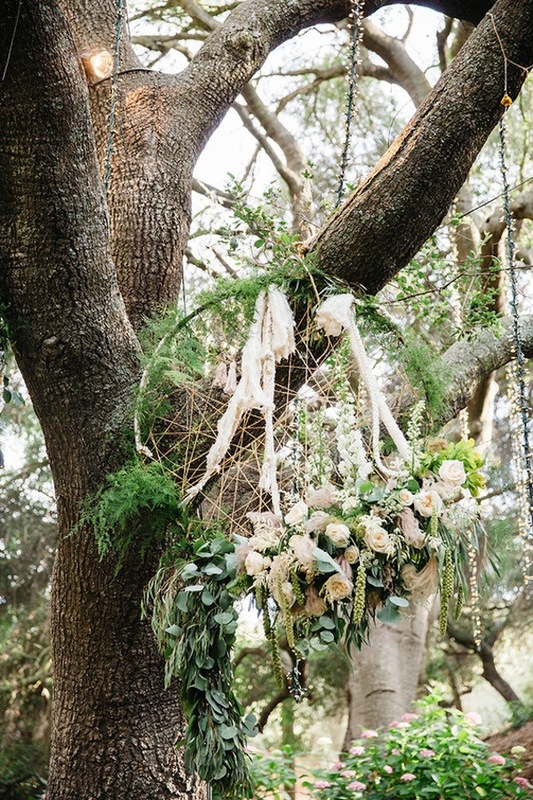 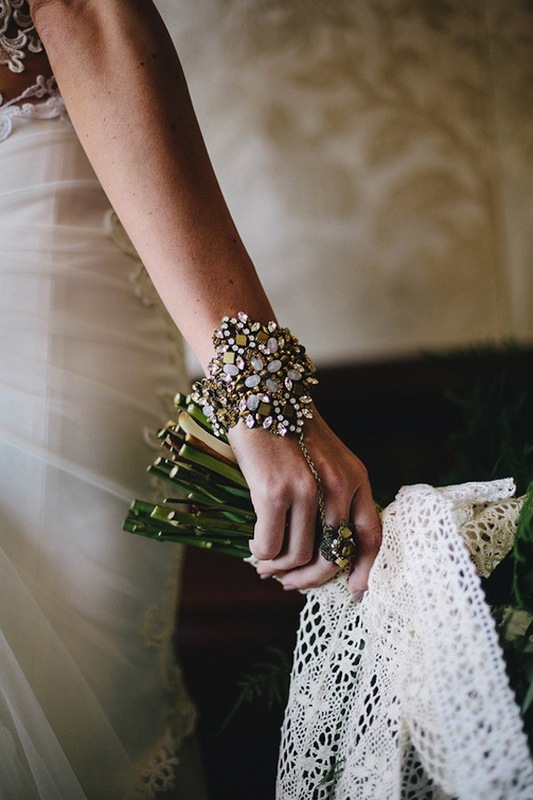 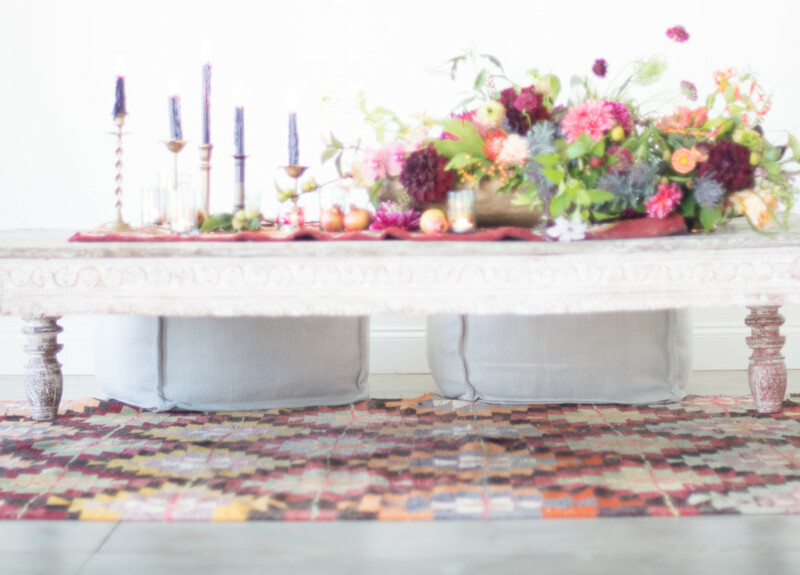 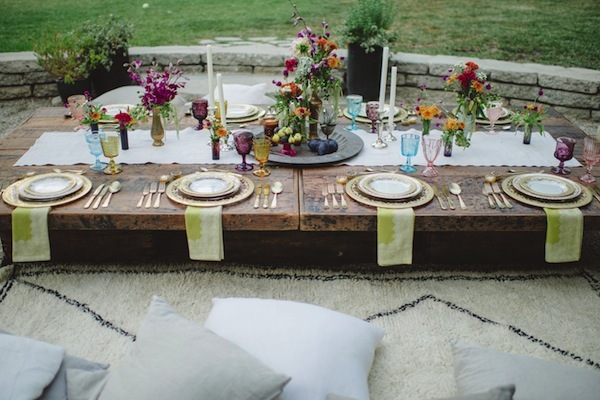 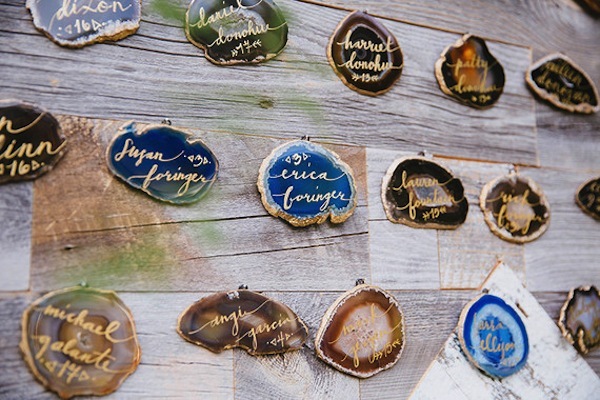 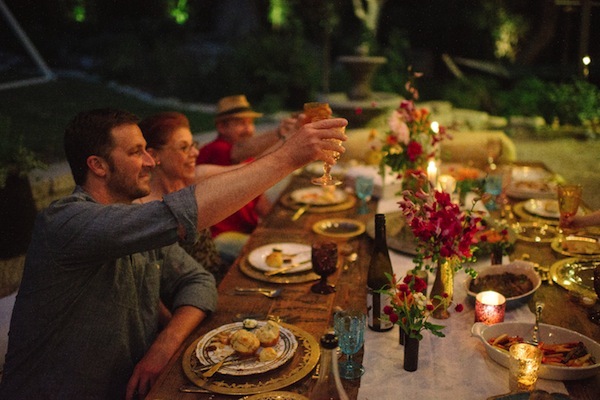 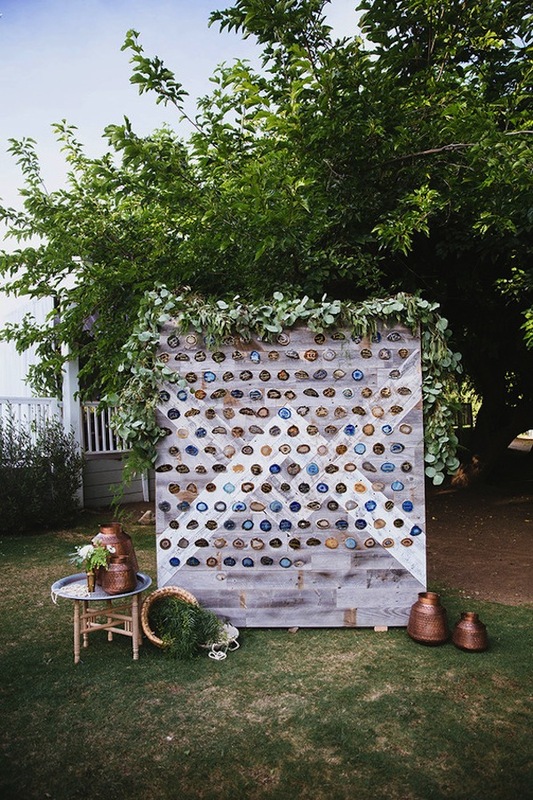 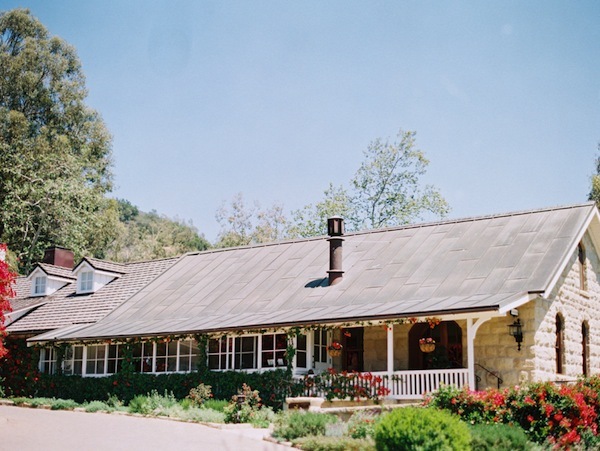 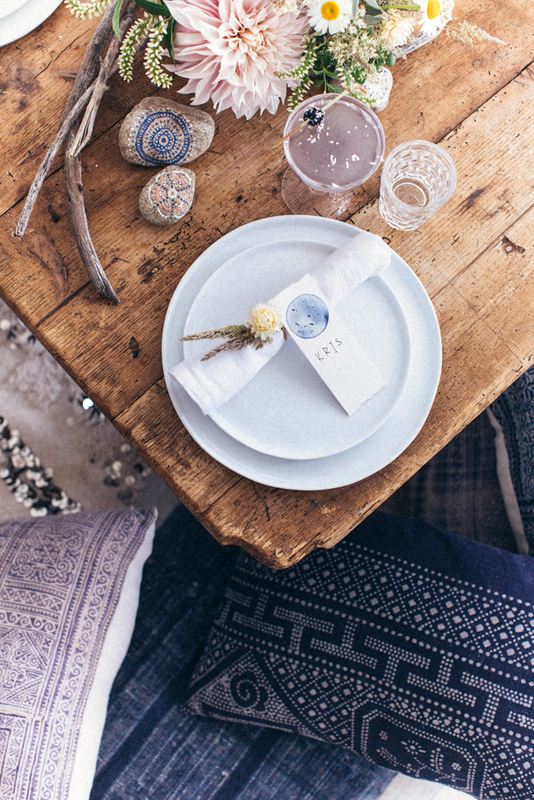 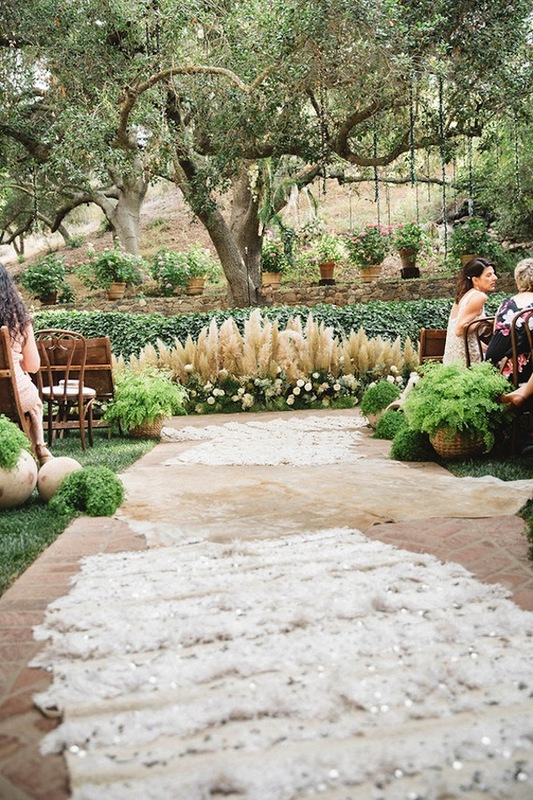 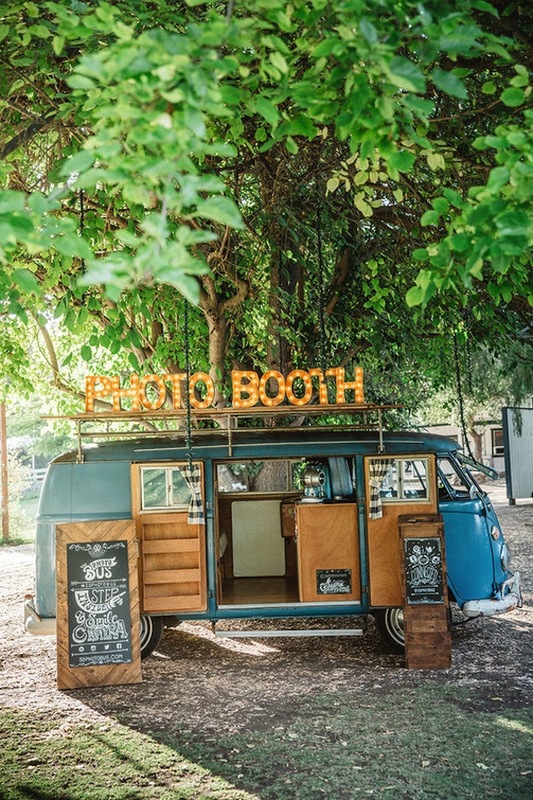 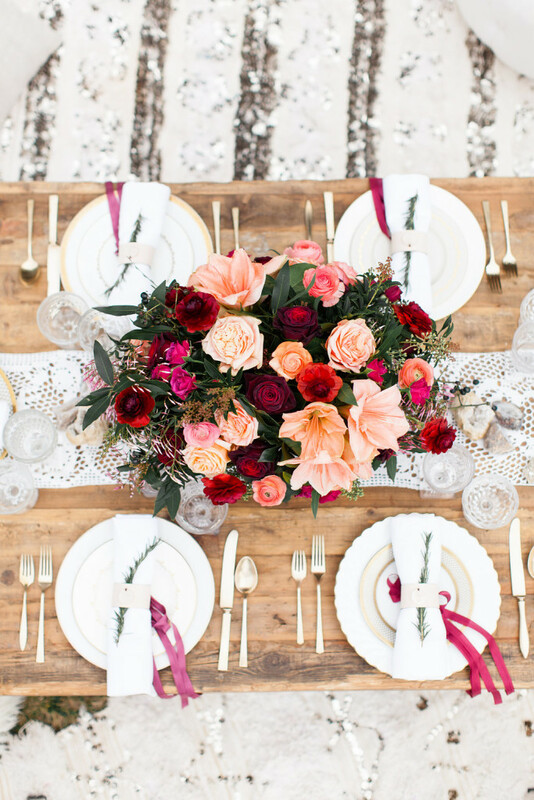 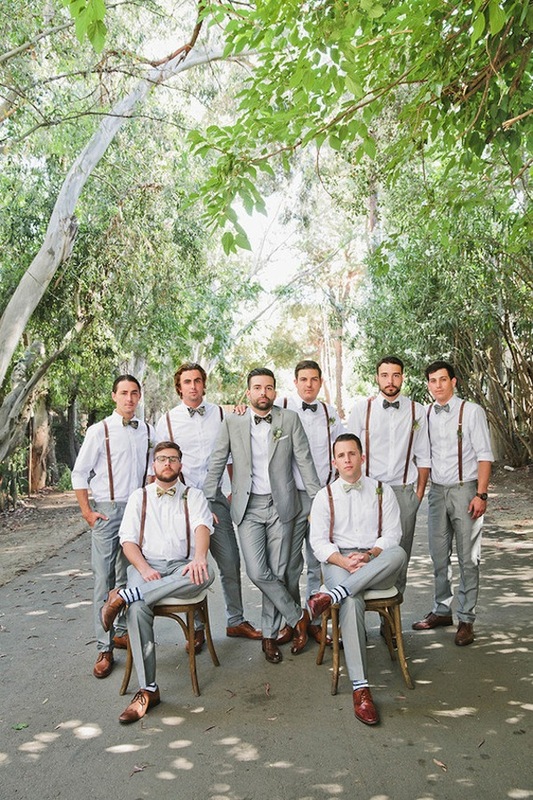 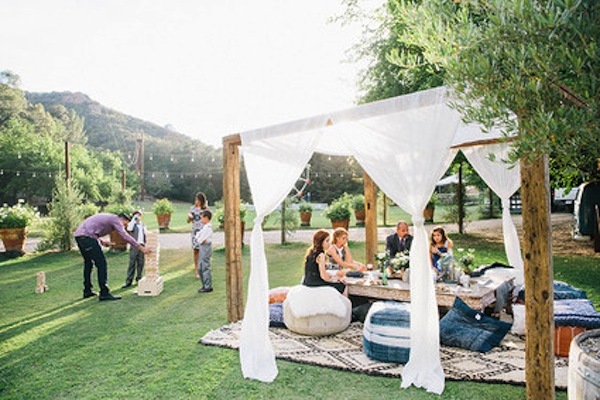 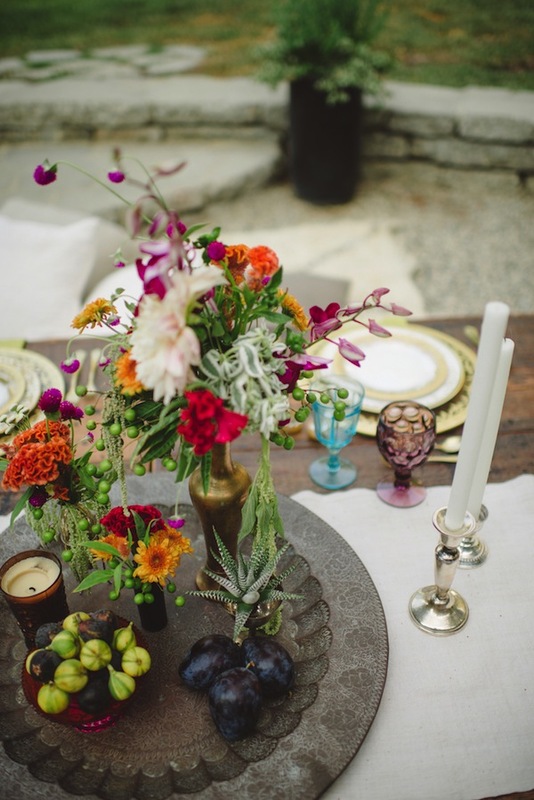 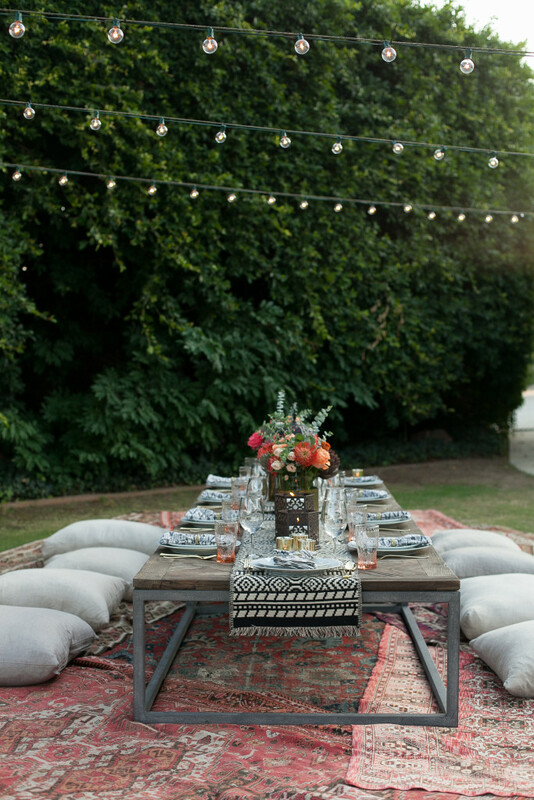 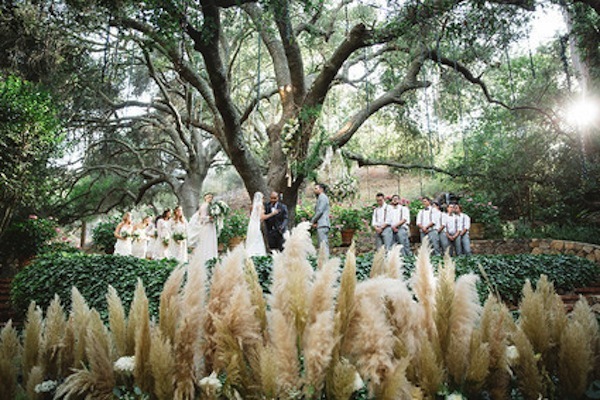 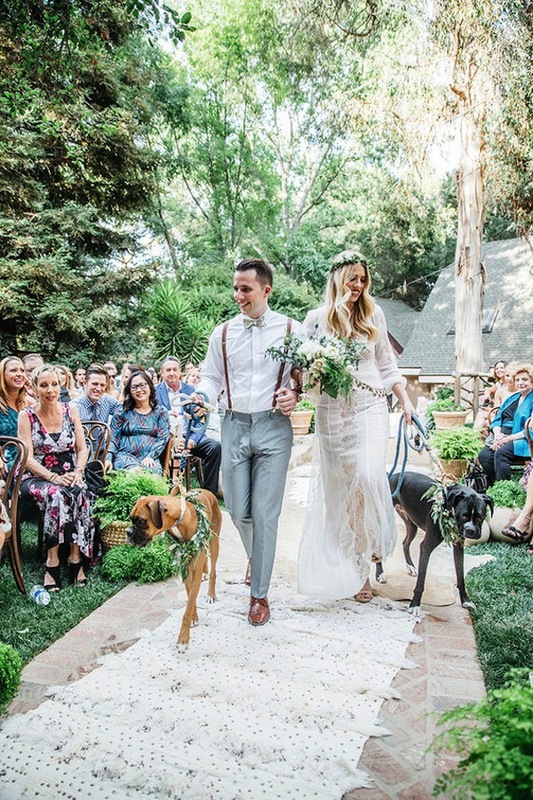 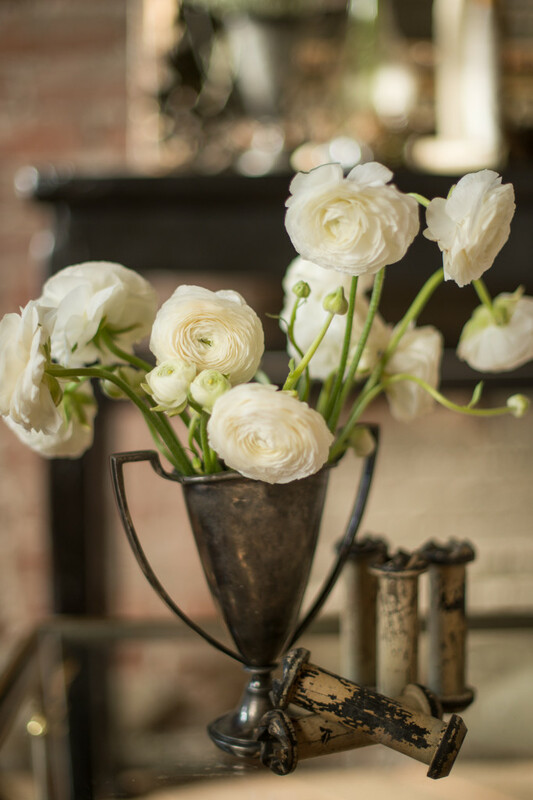 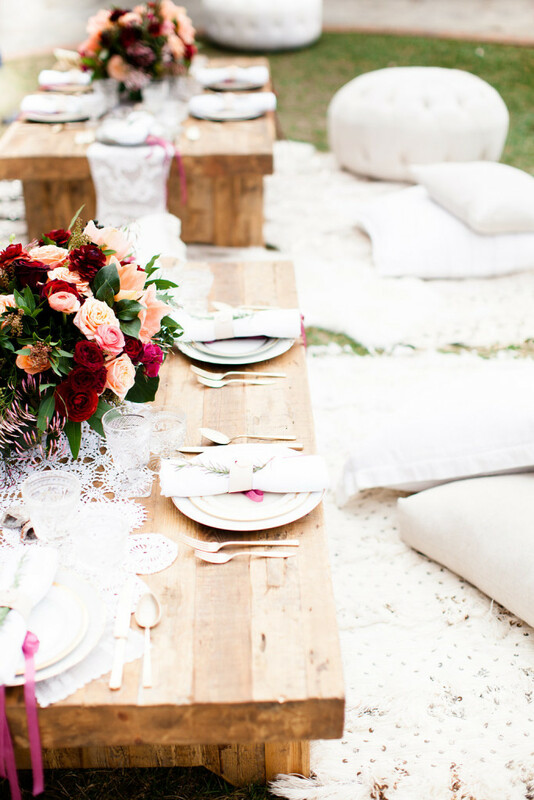 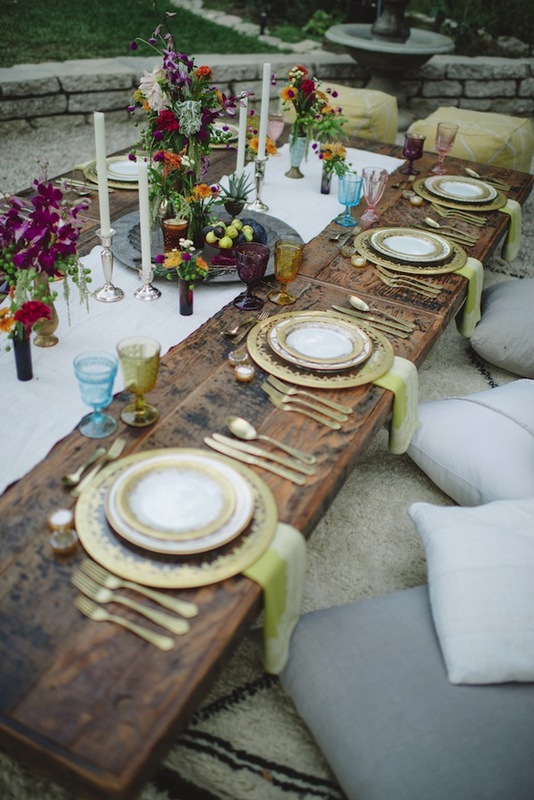 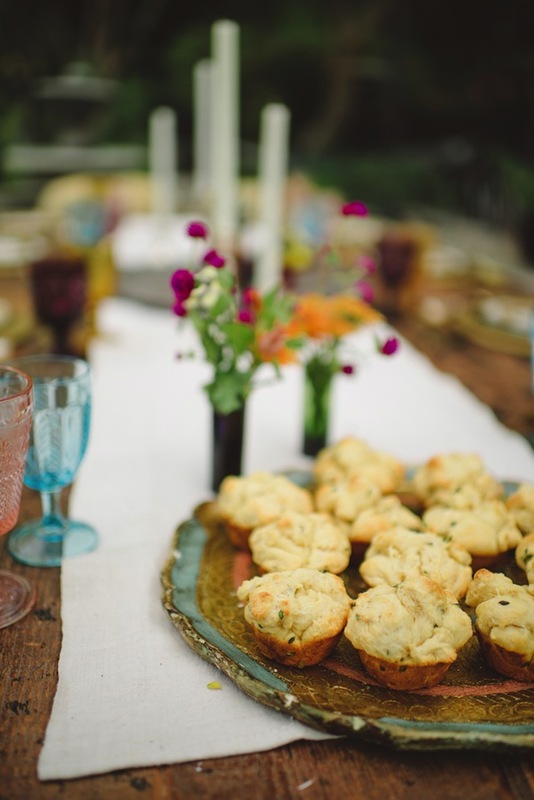 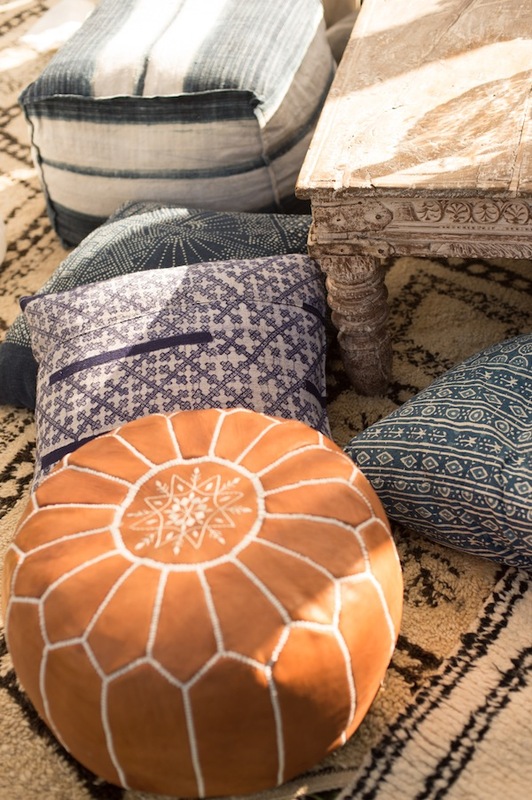 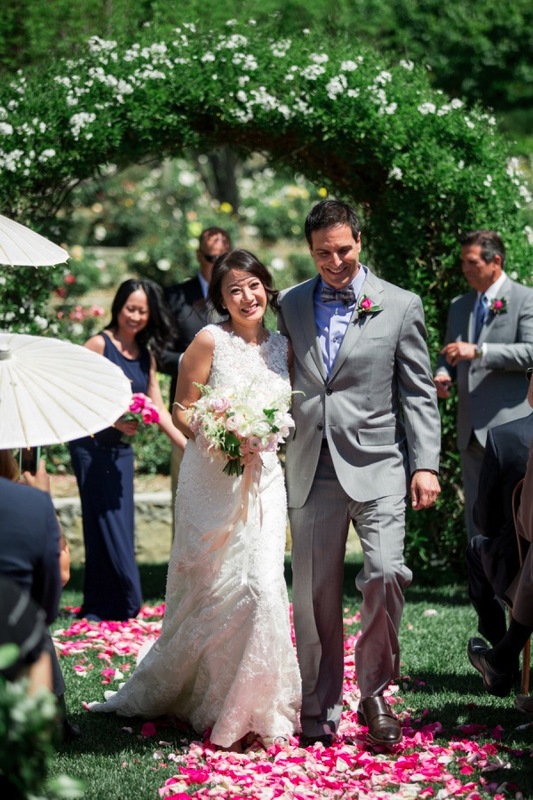 This gorgeous Calamigos Ranch wedding was the best of bohemian chic. 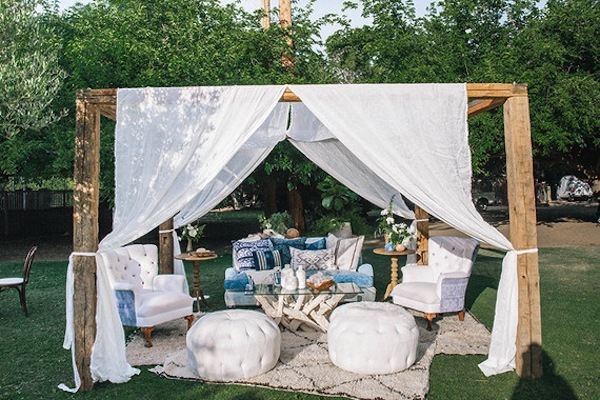 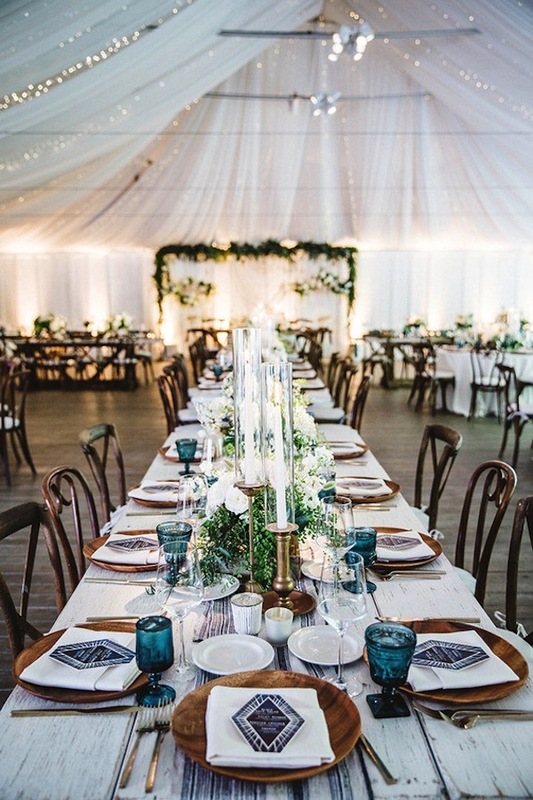 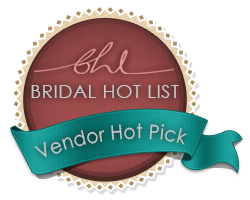 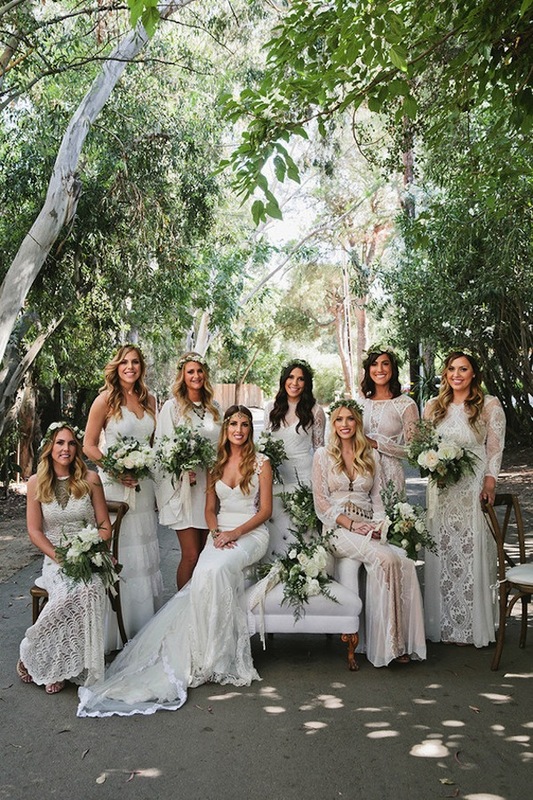 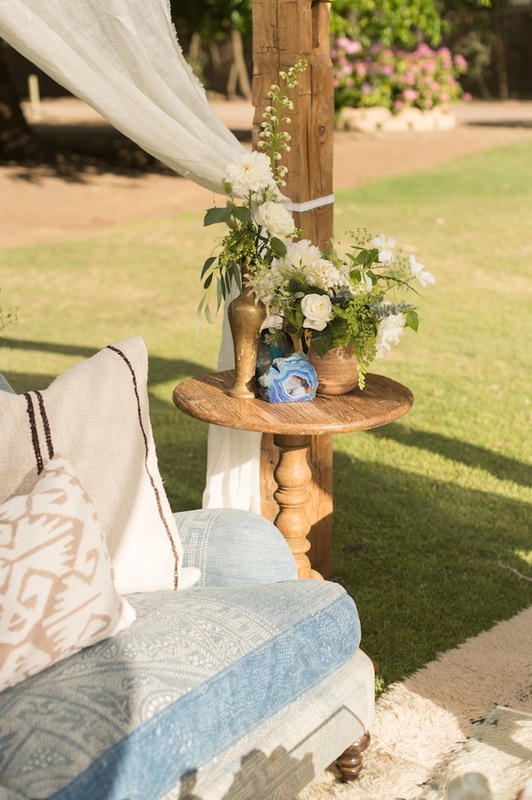 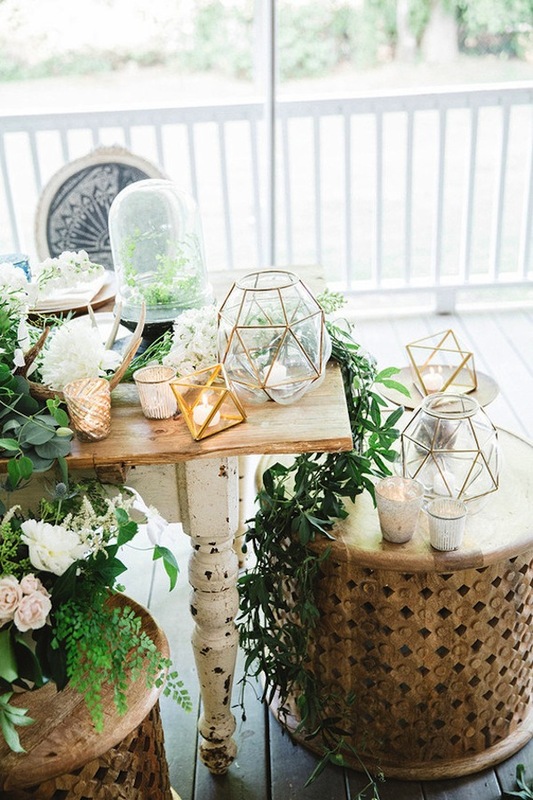 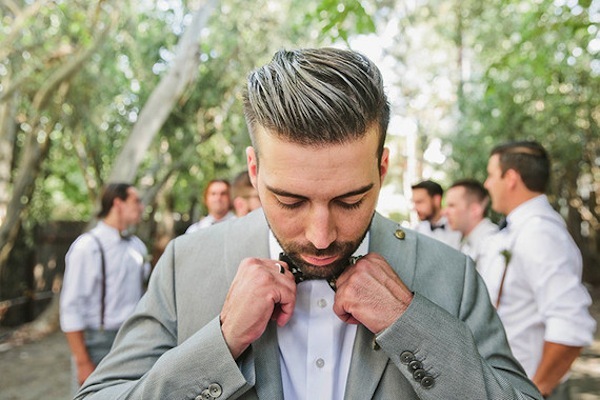 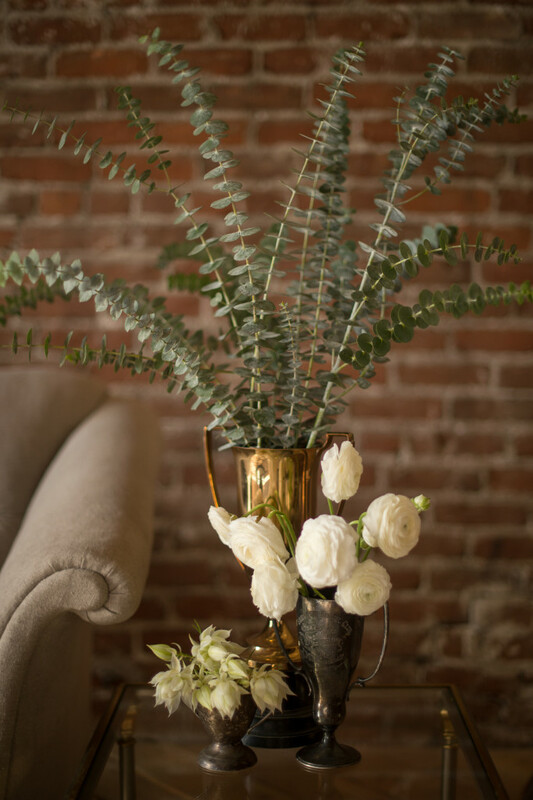 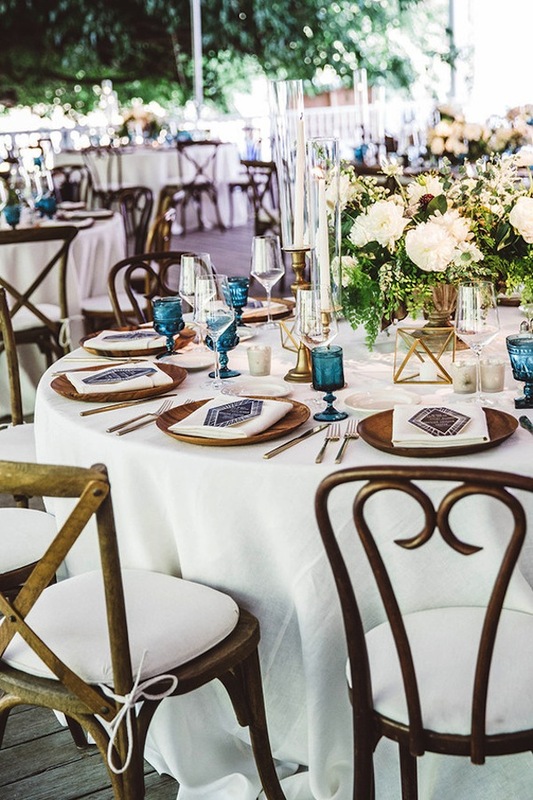 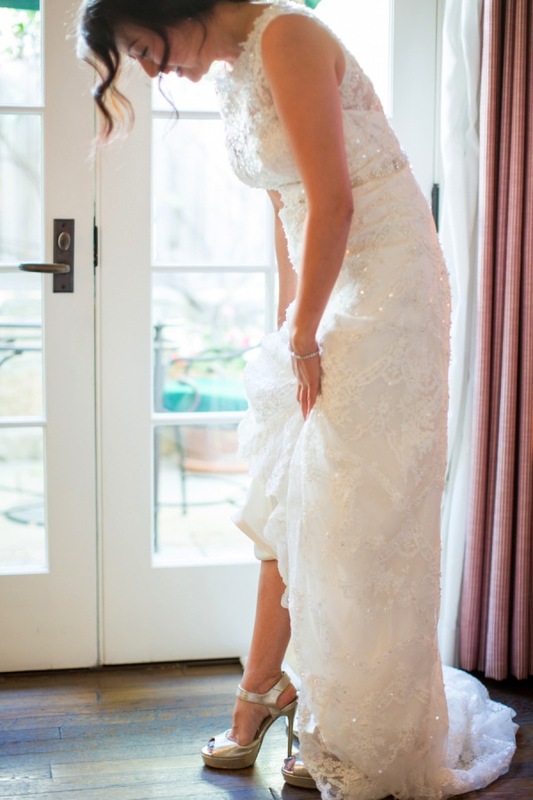 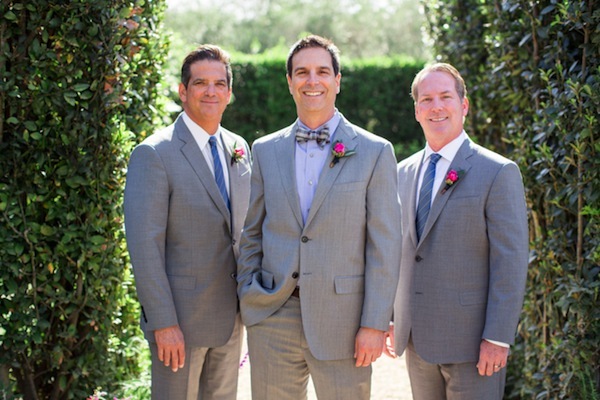 From the Brides style to the outdoor lounges, every detail was there! 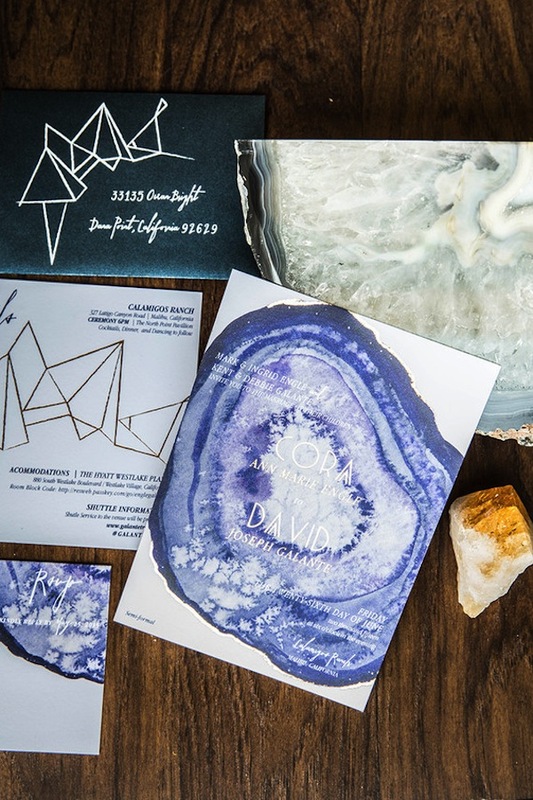 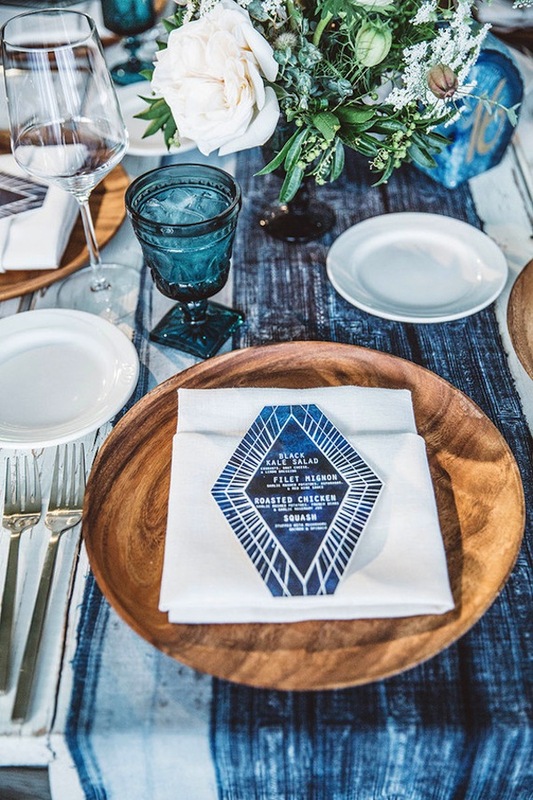 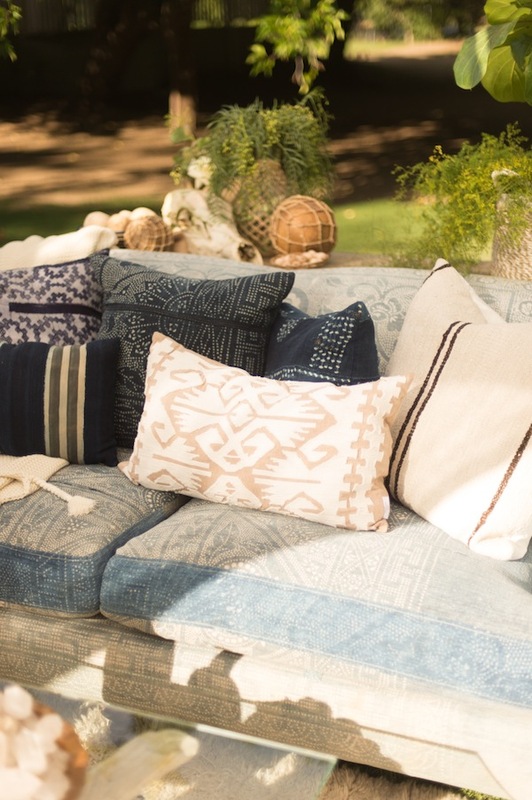 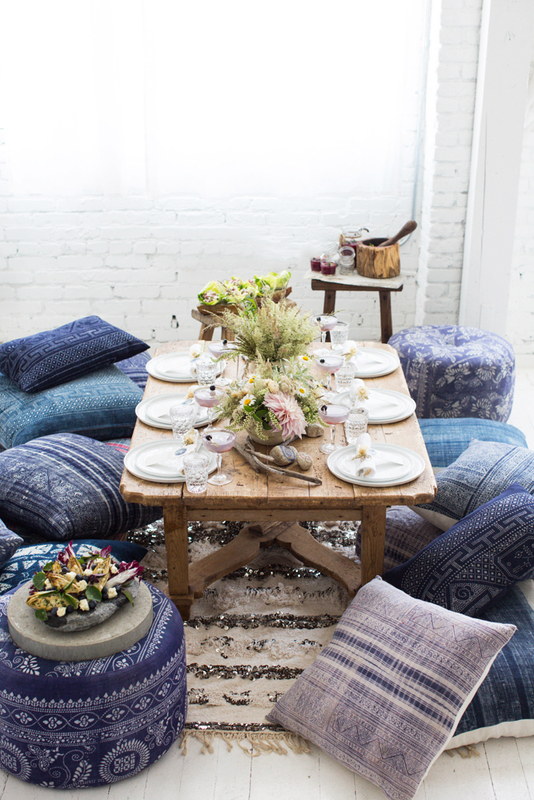 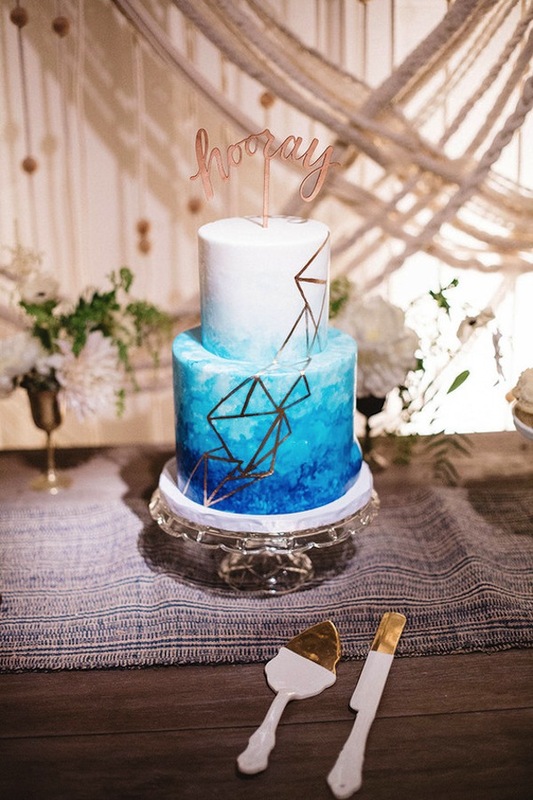 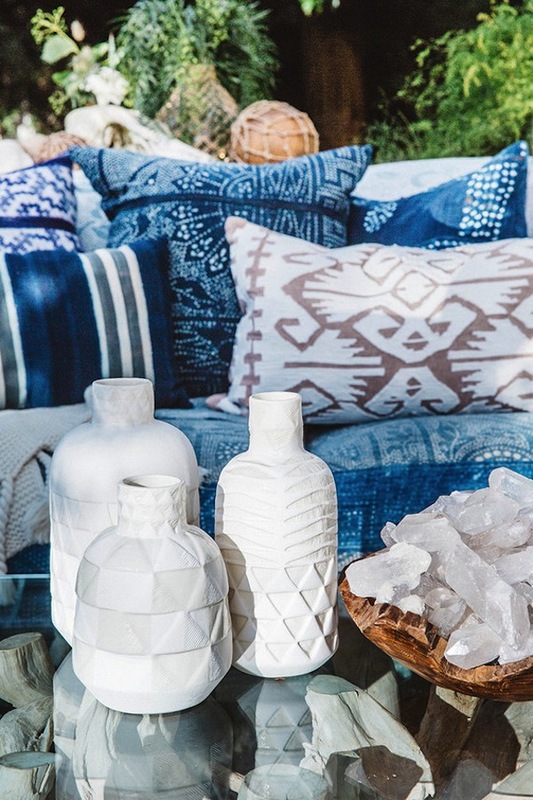 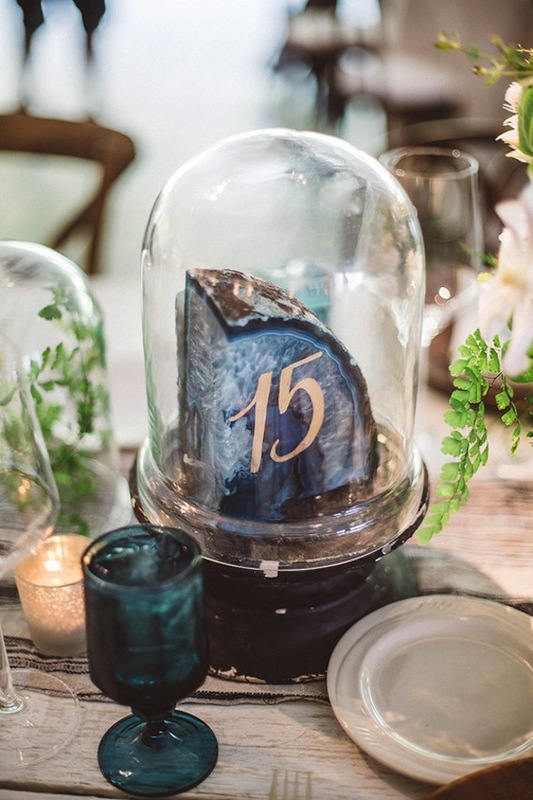 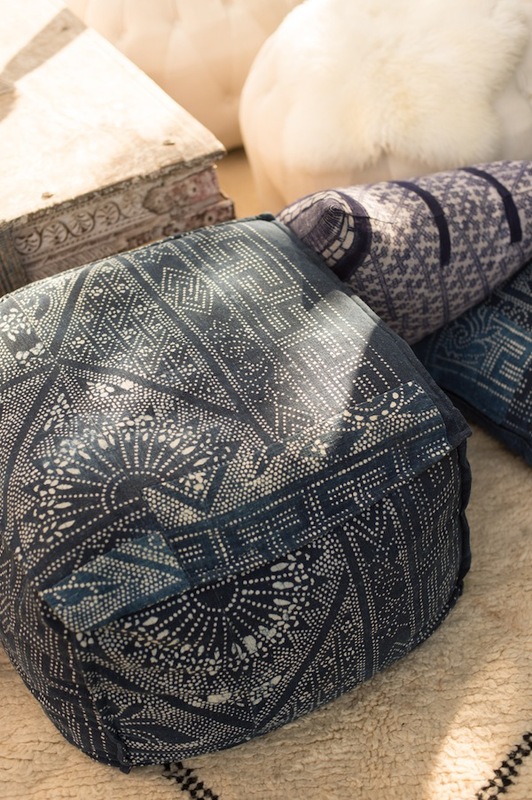 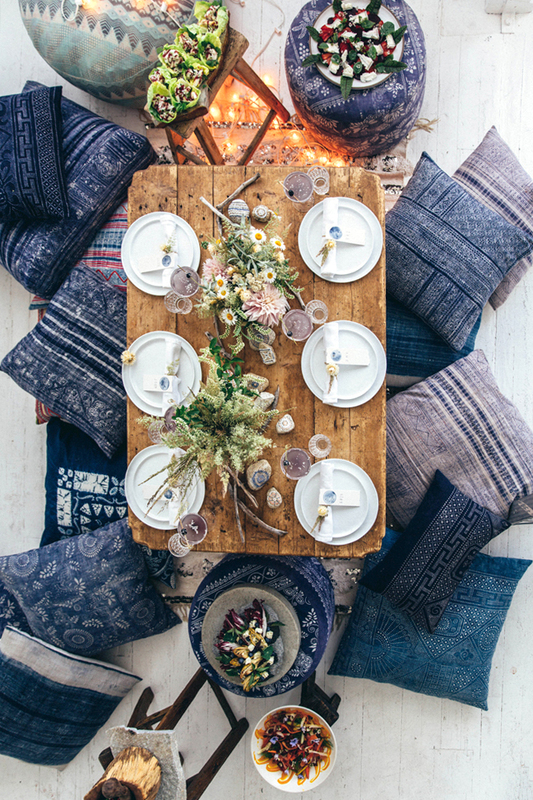 The indigo and crystal theme ran through out the gorgeous event. 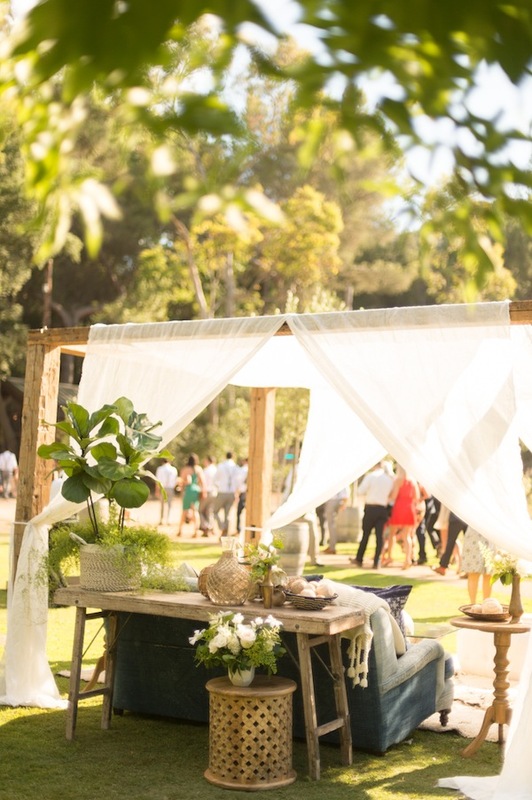 We are quite in love with the outdoor lounges and pergolas. 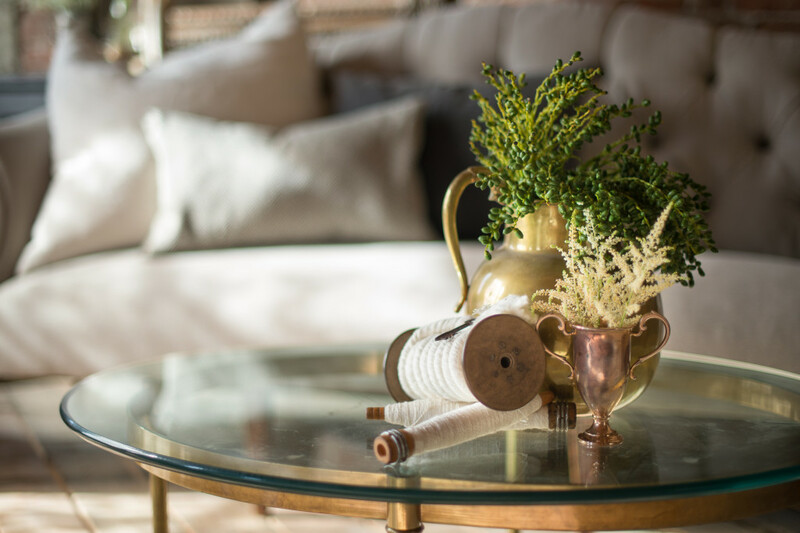 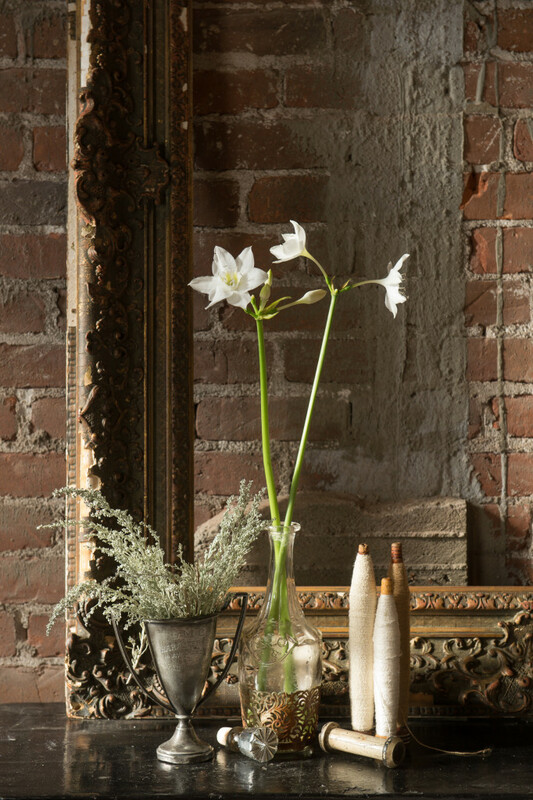 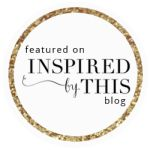 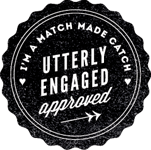 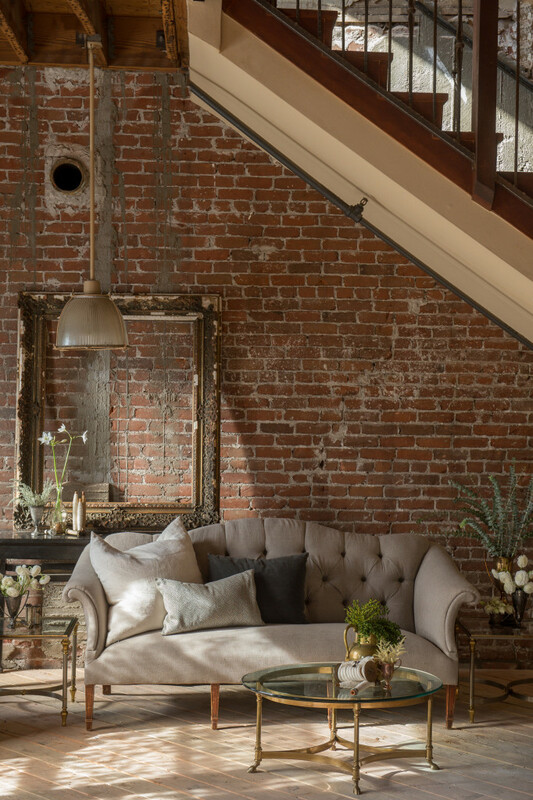 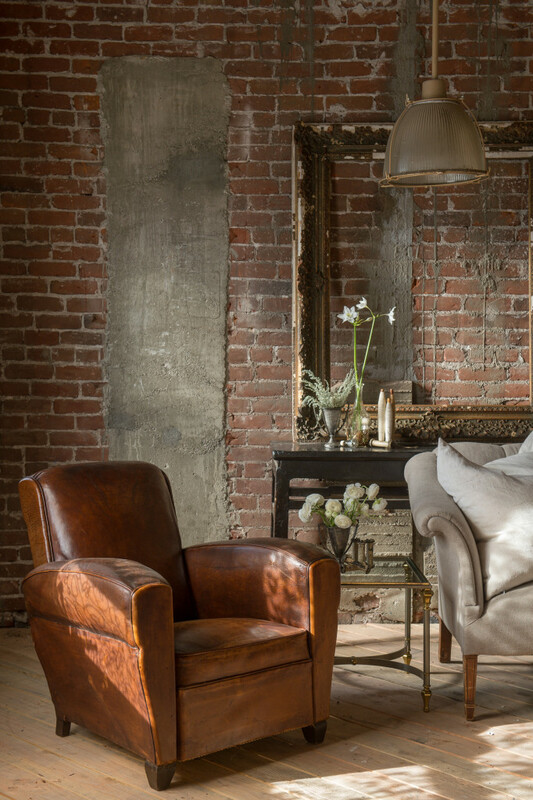 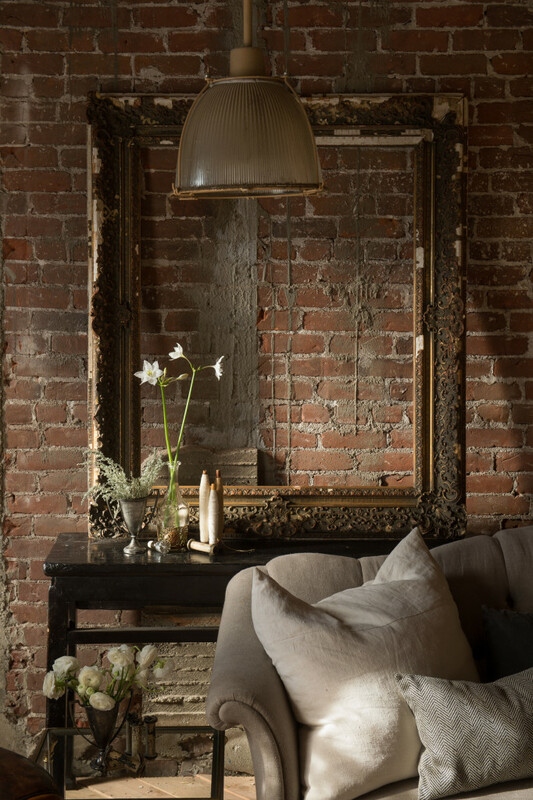 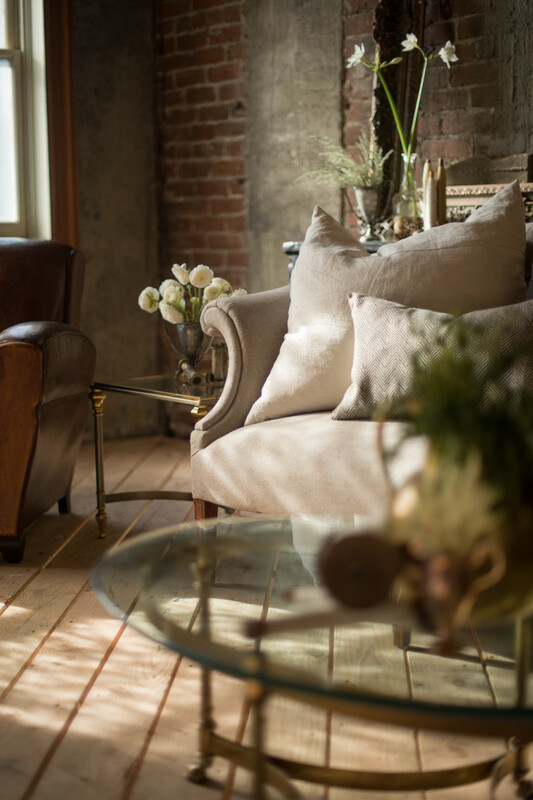 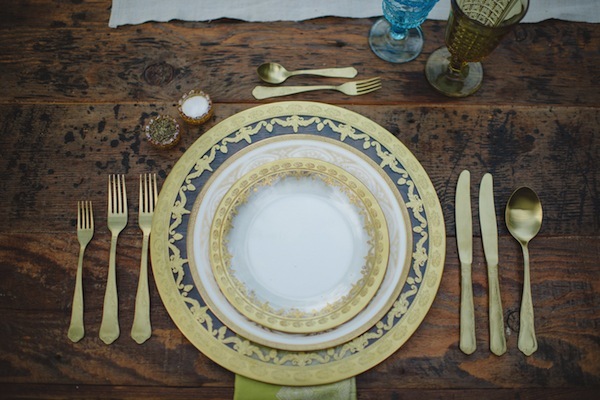 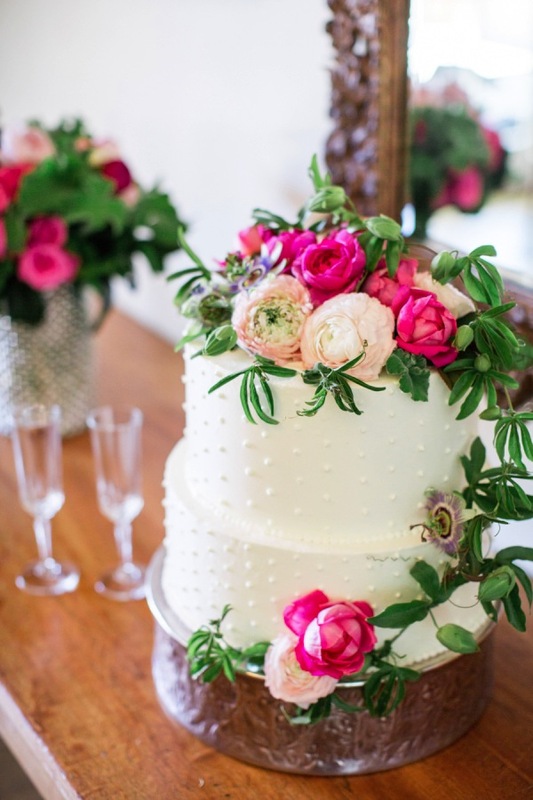 For more inspiration see the feature over on 100 Layer Cake. 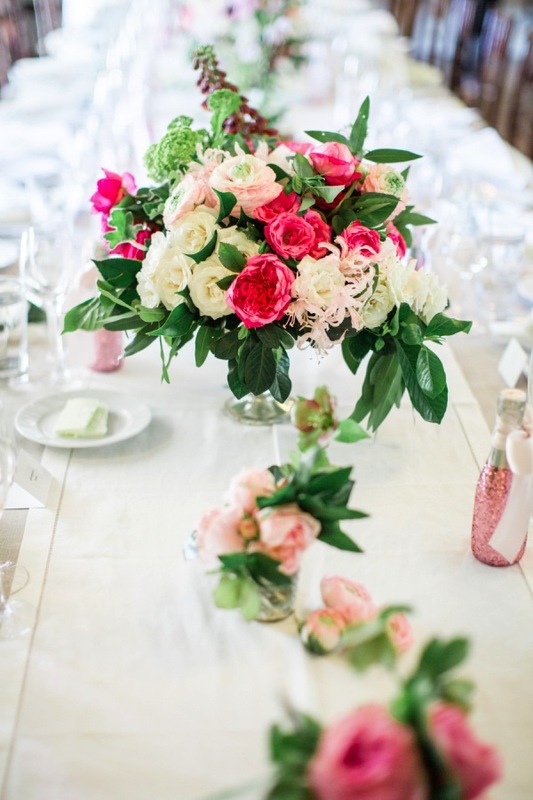 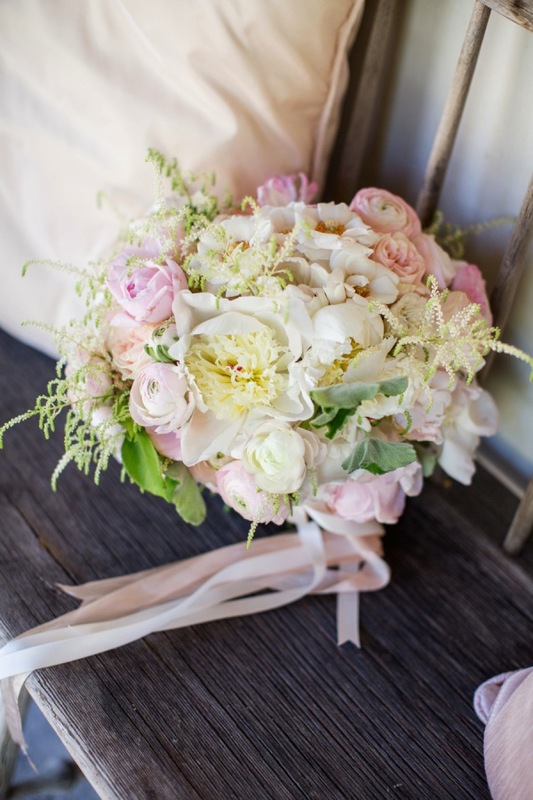 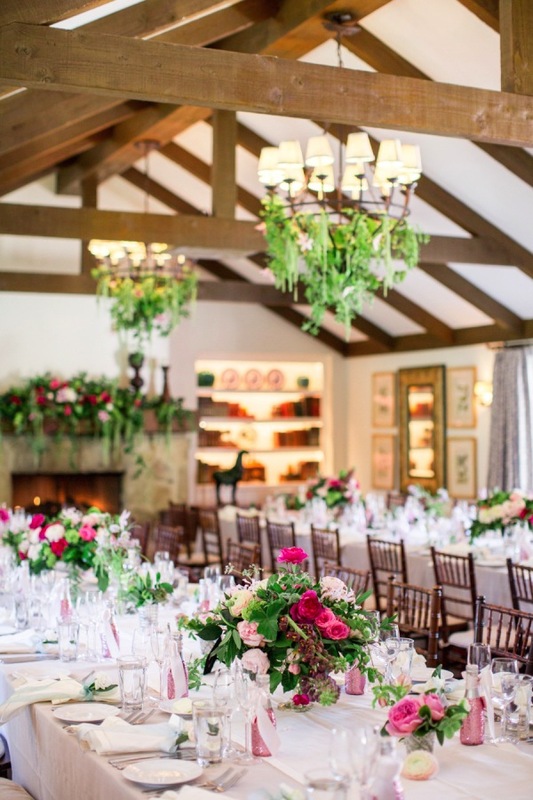 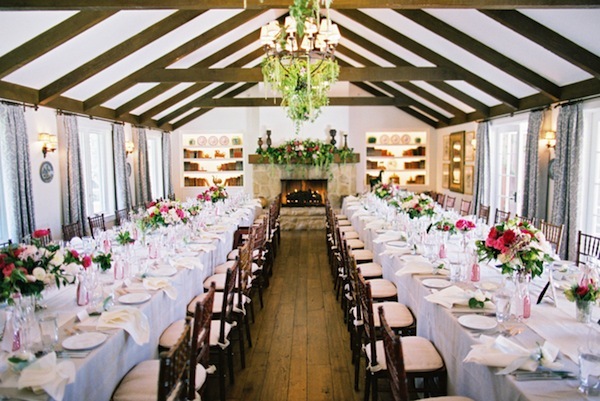 This pretty pink wedding designed by Twine Events was nothing short of a fairy tale. 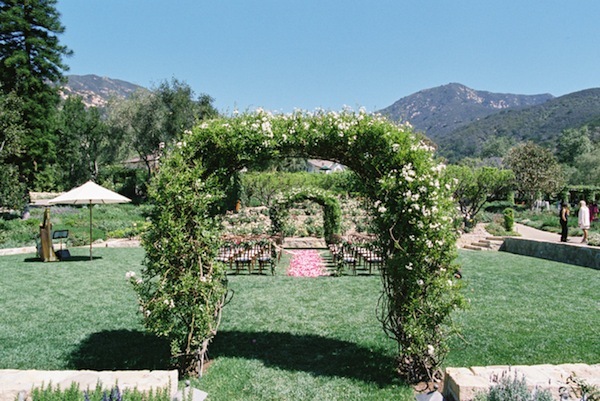 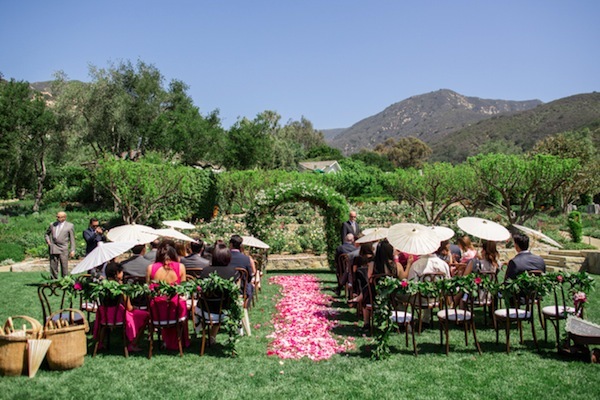 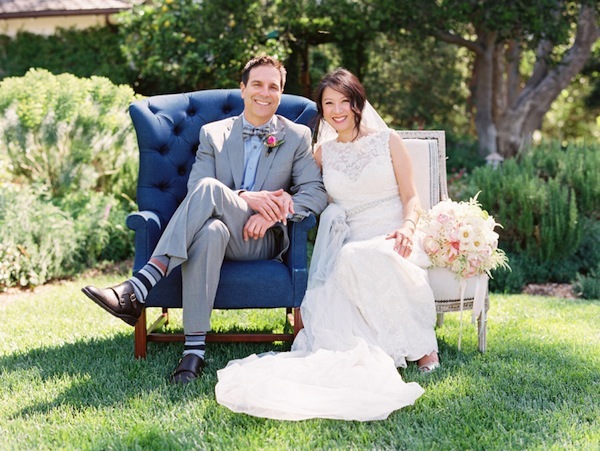 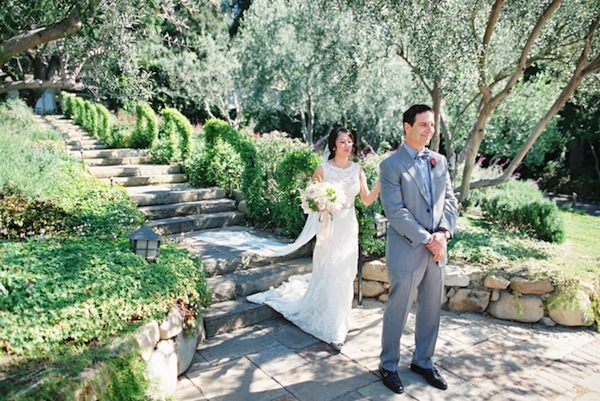 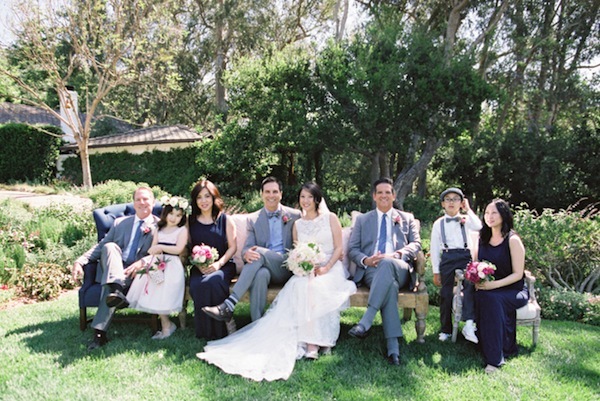 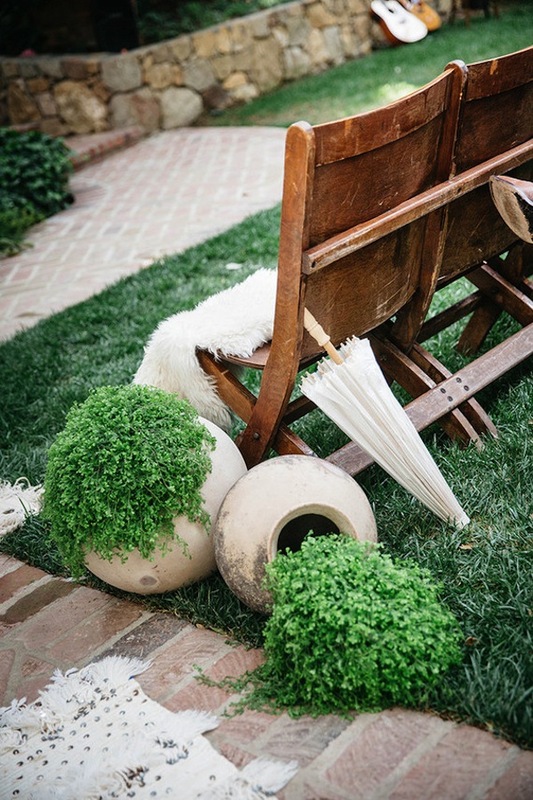 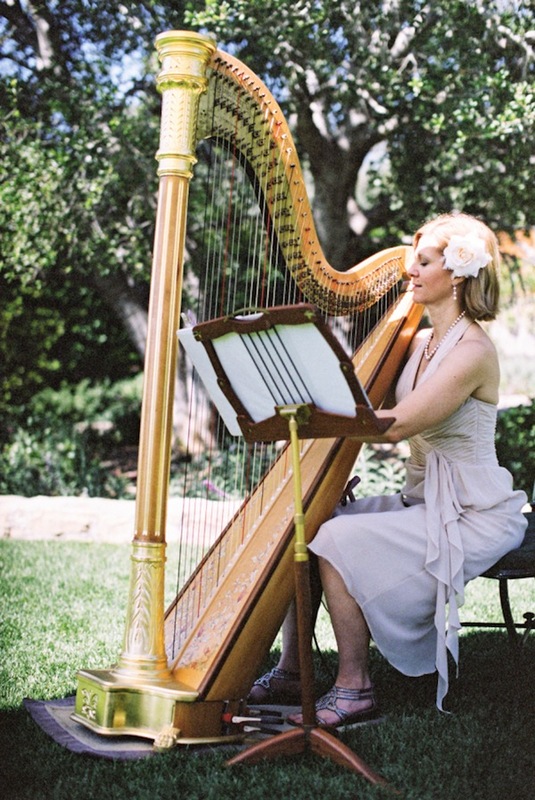 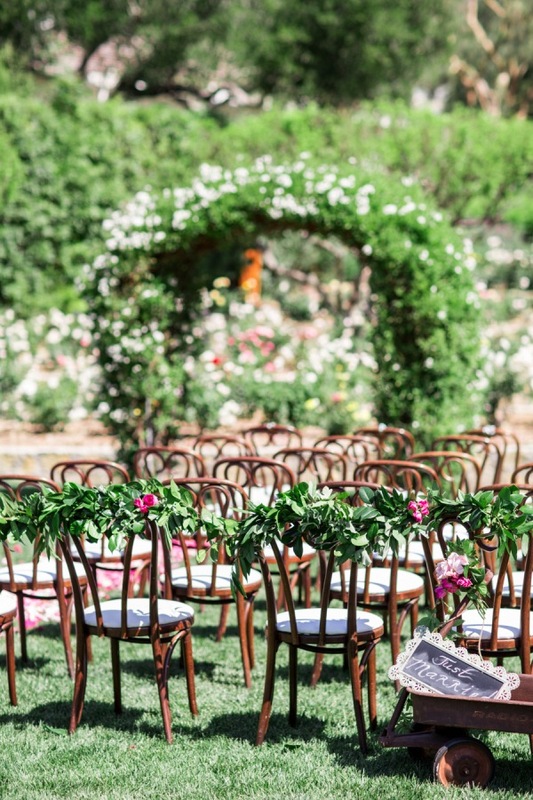 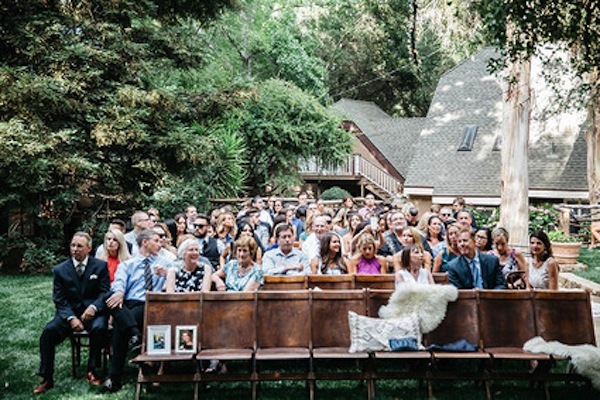 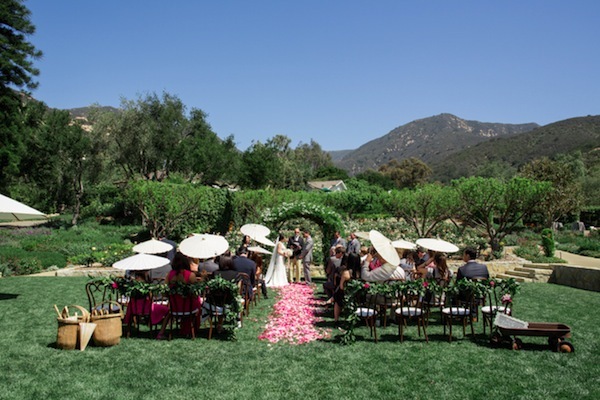 Our bentwood chairs looked lovely as ceremony seating in the gorgeous garden setting of San Ysidro Ranch. 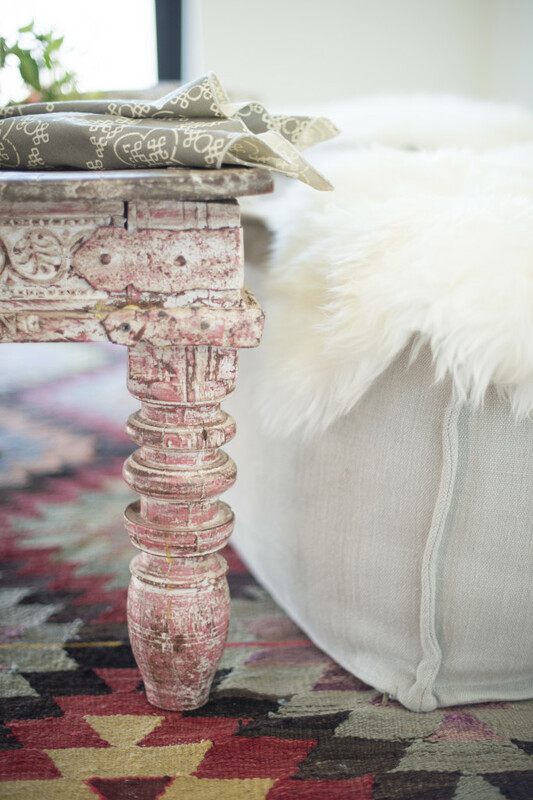 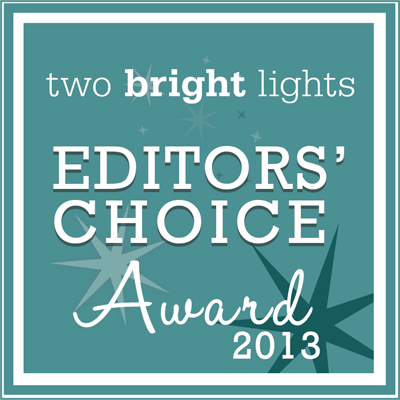 See more details over on Style Me Pretty!